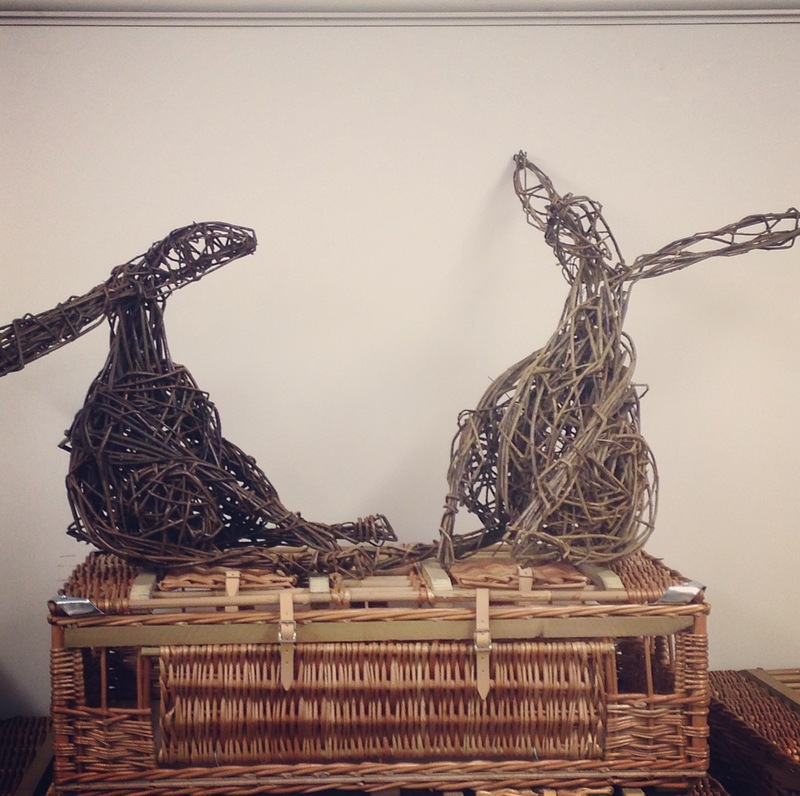 Willow Animal & Basket Sculpture Day Extra Dates & Latest Availability! Due to demand I am teaching 2 extra Willow Animal Sculpture Days at Coates English Willow on Friday 25th May and Thursday 28th June. I currently have places still available at both of these days to make a willow animal of your choice, (within reason!) If you’ve missed out on booking a place so far this Spring or have chanced across my website then you could be in luck. Deer, Hare, Bird etc. would be makers more than welcome! Please head to my Courses page and fill out my Booking Enquiry Form. I will then email you with full details including how to pay. The extra Willow Animal Sculpture Days are £90 per person and the usual time of 9.30am – 5.30pm. 2 x Places Willow Hare Sculpture Day Saturday 5th May Due to a late cancellation it looks likely that I now have 2 places at next week’s Hare sculpture day available. This particular Sculpture Day had been booked up since last October and Hare cancellations are somewhat of a rarity! If you would like these places please call me on 07905 342091 or email willow@sarahlebreton.co.uk First to reply gets the places! Sculptural Baskets – Friday 11th May – 2 Places; Saturday 1st June – 1 Place; Friday 13th July – 3 Places. Flower Lantern – Friday 8th June – 1 Place. Animal – Friday 6th July – 1 Place. Bird – Thursday 12th July – 1 Place. As before, fill out my Booking Enquiry Form on my courses page and I will get back to you as soon as I can with full details and payment information. Hope to create animals and baskets with you soon!